We’ve all been there: it’s the morning of the big birthday and there’s still 3 stores left to run to before the afternoon. Kids have to be strapped into the car, stops need to be planned out for minimum crankiness, and of course you’ve got to stop and pick up the ice cream cake last to keep it cold on the way home… it takes all the enjoyment out of the party! Adding a “homemade” touch to the cake goes a long way… even if it’s not from scratch. 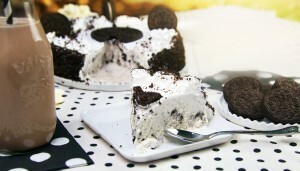 For example, if you’re getting an OREO® ice cream cake, head over to the cookie aisle and pick up some OREO cookies to add to the top of the cake, or crumble them up and create your own cookie cake crust! And while you’re at it, swing by the dairy section and pick up some chocolate milk to go with the cake and take cookies ‘n’ cream to a whole new level for your guests. Everybody loves a party, but a celebration tailored just for that special someone shows you really care. Don’t worry; you don’t need to order a bunch of custom-made stuff to do it. 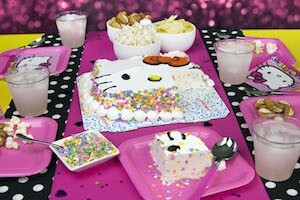 A personalized ice cream cake is a great way to send your message, but why let the bakery have all the fun? 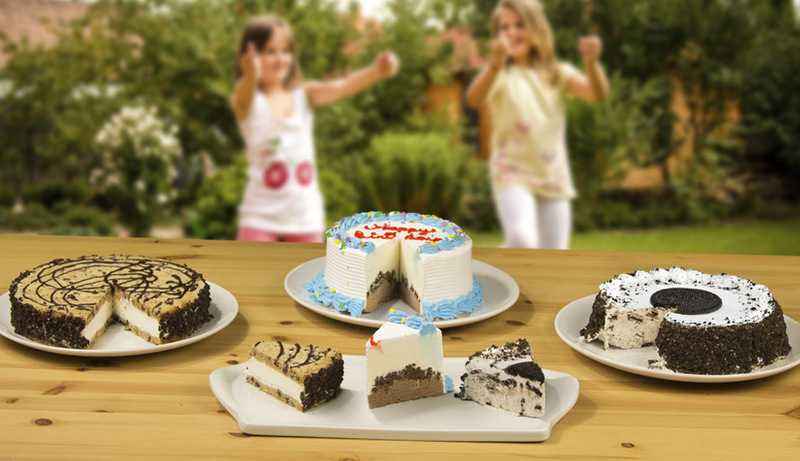 CARVEL® sheet cakes have the right amount of space that’s perfect for personalization. Your store should offer a variety of icing colors in easy-to-use tubes, so you can unleash your creativity on the cake without having to worry about a fancy piping bag. Plus, you can find balloons in the floral department to match your chosen color! Want to look like a party planning genius with little to no effort? A simple theme goes a long way. If you’re going for a pretty-in-pink affair with a Hello Kitty® cake, pick up some pink lemonade and extra sprinkles to make any princess happy. Make Sure You Think of Everything. There’s more to think about for a party than just the cake, so take a minute to think about the rest of the stuff you might need to keep everything running smoothly. Salty and sweet snacks go great together, so make sure chips and pretzels are there before the cake comes out. Fancy decorations aren’t important; whether you’re in your house or creating a space outdoors, a few plain colored balloons go a long way toward setting the right atmosphere. Oh, and repeat after me: you can never…EVER… have enough ice. 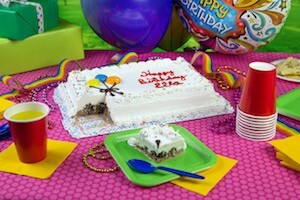 Don’t forget to bring a cooler to keep your ice and ice cream cake at the perfect temp. And there you go, you’re ready for the party with plenty of time to spare! Use the extra time to get ready, stuff goodie bags, or just spend a few quiet minutes with the kids before everything gets crazy. However you do it, you know you’ve got an awesome and easy event to look forward to!